A few years back I was writing a story for a newspaper on Remembrance Day. Wanting to have an accurate account of the Canadian soldiers that had been killed in Afghanistan I went to the Canadian Forces website to find out the latest numbers of Canadian casualties. At the time it was 99. Drawn to the young faces of our Canadian men and women, I felt I owed it to them, not just to write about them as a number, and as a statistic, but to take the time to scroll through all 99 photos and see firsthand the men and women who had given their lives. At around number 66 my fingers froze on the scroll button. For there was the young face of a kid who I once taught Martial Arts to when he was just a smiley young goof. In an instant my vision of war and of the soldiers I had always remembered in a vague “that was then, this is now” sort of way changed forever. My parents had grown up during WW II in Scotland, and had stories to tell of having to head to bomb shelters instead of going to school, and of my Grandfather and Great Uncle spending 8 years in East Africa (back then there wasn’t a tour of service and very little “leave”). As well my children’s other grandparents, who had grown up in Holland – were literally saved from starvation from the food parcels Canadian soldiers dropped to them from the sky. A dramatic retelling that ensured that I brought my children diligently to Remembrance Day ceremonies to pay tribute to the soldiers that ensured their existence. But that was wartime – then. Back before we knew better. Back before unmanned vehicles and well executed high technology played a role in saving our soldiers in Afghanistan from the same fate as their “brothers in arms” from World War I & II, and the Korean War. At least that’s what I thought untill I saw Jordan’s face. Turns out, even if technology and advances have ensured that we have lost a great deal fewer soldiers than ever before, even one soldier is too many. These men and women, those who have fallen and those who still serve, aren’t just statistics, they are someone’s son or daughter; someone’s spouse; and in some cases, someone’s parent. This and every Remembrance Day, we need to remember that. We need to head to the places our communities have chosen to honour our soldiers, and stand side by side, shoulder to shoulder and promise that we will never forget them. We will never forget that some were cut down far too soon. We will never forget that the freedoms, life and rights that we enjoy today are thanks to them. War is such an abstract thought for us. Something that we read in the paper or watch on the evening news. But to the families and friends of those that have fallen, war is all too real. There are now 158 Canadians that have given their lives. Yes, you may well say, it was their job and that they knew the inherent risks, but it’s because of the type of people that they are in the first place that they even chose to become soldiers. And we could all be a little bit more like them. Those who have fallen and those who still serve have given us the greatest gift of all – their lives. A gift we should never forget. So where should you “Go” this Remembrance Day? 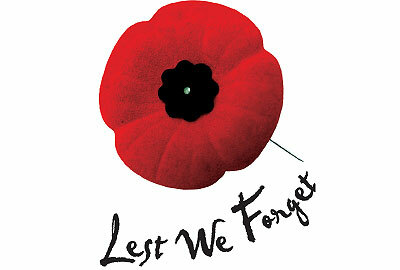 Go to the nearest Remembrance Day Ceremony nearest to you or your community. It’s not too far, nor too much time out of your day or your life. Go and pay your respect to Canada’s fallen soldiers, and indeed all of the soldiers who have or are still serving this country. – Lest we forget the gift we’ve been given. Tompkins: Tompkins Community Centre, 10:45 am, November 11, 2012. Maple Creek: Armoury, 10:00am, November 11, 2012 (Followed by a Potluck lunch at the Legion Hall at Noon). Val Marie: Cenotaph (end of Main Street), 10:50am, November 11, 2012 (particpants will meet at the Village Complex at 10:30 am and march to the Cenotaph. Ponteix: Ponteix School, 11:00am, November 9, 2012 AND Service at United Church 3:00 pm, November 11, 2012 followed by the laying of the wreaths at the Cenotaph. Swift Current: Parade at 9:00 am from the Legion to the Cenotaph, followed by a ceremony held at the Swift Current Comprehensive High School at 10:30am. There is a social gathering following the service in the Legion Lounge (Tickets only avail until Nov 7 – $10 call the Legion office at 773-2766). Morse: Unveiling of the newly built Cenotaph in Morse will take place in front of the Town Office, at 10:00 am followed by Remembrance Day ceremonies. Following will be a free brunch at the Community Hall. Everyone is welcome to attend. 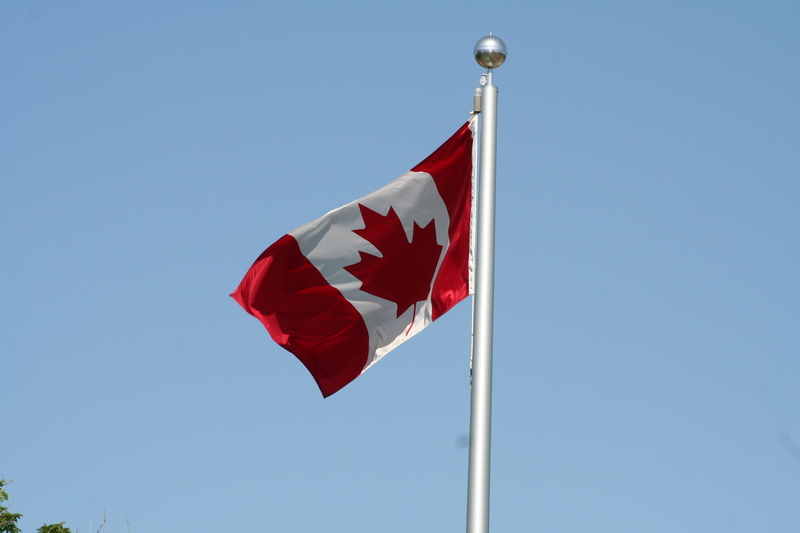 The flagpole at the Cenotaph in Swift Current. John Wort Hannam – an Albertan musician who has played in the Southwest many times wrote the song “Infantry Man” for a friend whose son went to Afghanistan. It started out happy but changed drastically when the young man was killed in action less than a month into his tour. How to GoHere: Luckily and sadly at the same time Cenotaphs are one of the easiest things to find no matter which community you find yourself in on Remembrance Day. 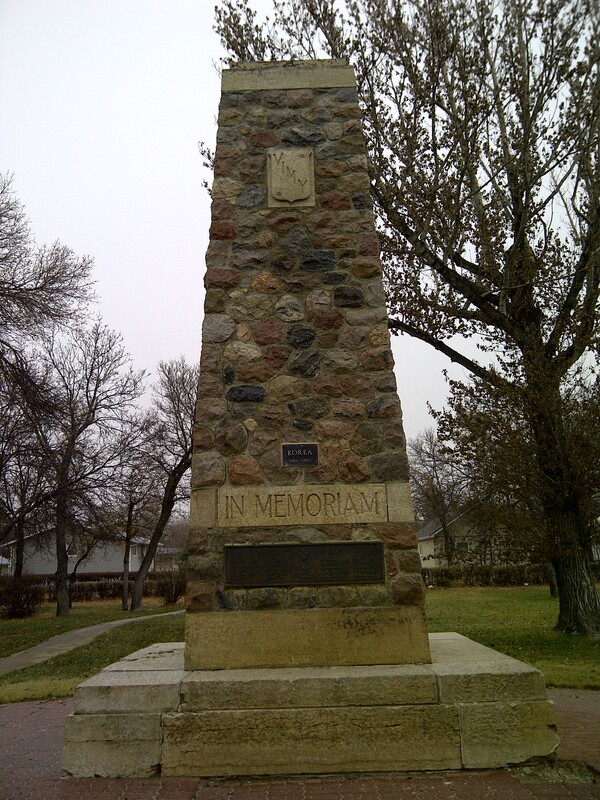 In Swift Current the main ceremonies are not held at the Cenotaph because of uncertain weather conditions. Now they are held at the Swift Current Comprehensive High School, which can be seen from the Trans Canada Highway just between 7-11 and Subway at 1100 – 11th Ave NE (you can’t miss the football field – but if you do…GoHere to this map). Gotta Go:? Those attending outdoor ceremonies across the Southwest will just have to soldier on and hold it. Those at the Swift Current Comp High School can use any of the washrooms in the school (The ladies staff washroom is located just off the front entry way). The Morse Cenotaph set to be revealed Nov 11, 2012. A complete list of Remembrance Day ceremonies across the Southwest can be found on our Events page. GoHere to find the one nearest to you. 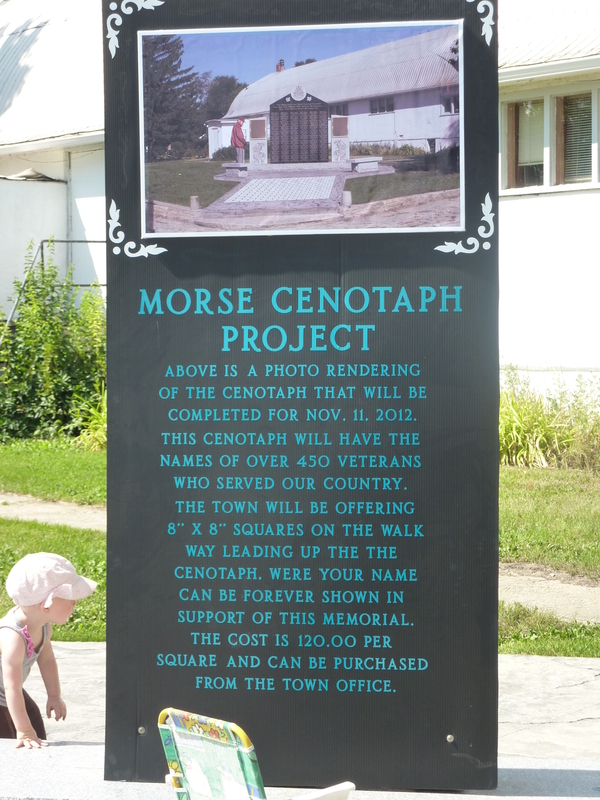 The Community of Morse revealed at their Centennial Celebration this summer that they are creating a new Cenotaph. Featuring the names of over 450 veterans who served Canada. Squares leading up to the walkway of the Cenotaph can be purchased for $120. On Nov 8th the Swift Current Museum will première their video on the Royal Airforce (RAF) Training Aerodrome that once existed at the current Swift Current Airport – for more information call the Museum at: 306-778-2775. The Swift Current Recreation Centre was recently renamed the Lieutenant Colonel Iver Clifton Recreation Centre, in honour of one of Swift Current’s own soldiers who was the last commanding officer of the Swift Current 14th Canadian Hussars.